When we were putting together the 2017 advance planner, the decision was made to take a break from the Difference Maker theme. Sure, we are still amazed by the dedicated behind-the-scene efforts from the people of East Passyunk Crossing, Lower Moyamensing, Point Breeze, West Passyunk and other surrounding communities, and the concept will be returning in the near future. Sorry, I suddenly pictured myself sitting in the second row of a concert. Back to this week’s story. We are talking about a group of very successful women who have experienced great success in their respective fields — real estate, daycare, medical, restaurant and many others. We are not talking about the ones who set up shop one day, and close the doors with little to no notice. We are talking about the ones who believe South Philly is where the action is. Like an “American Idol” audition, we started with an endless list of names, and spent the last several weeks discussing who is in and who is out (no singing was required). Each of these individuals have unique stories as to why they picked this neighborhood. Many of them are residents, too. Many of you frequent the locations on a daily, weekly or monthly basis. But this debut edition of the Top Businesswomen of South Philly is only a small sampling of the many, many female success stories located between South Street and the Philadelphia Navy Yard. Yes, we are expecting those “why wasn’t she included” responses. The great news is this is not going to be a one-and-done theme like some of the old fall guides. If you have a worthy candidate in mind, we are always a phone call, email or Facebook message away. 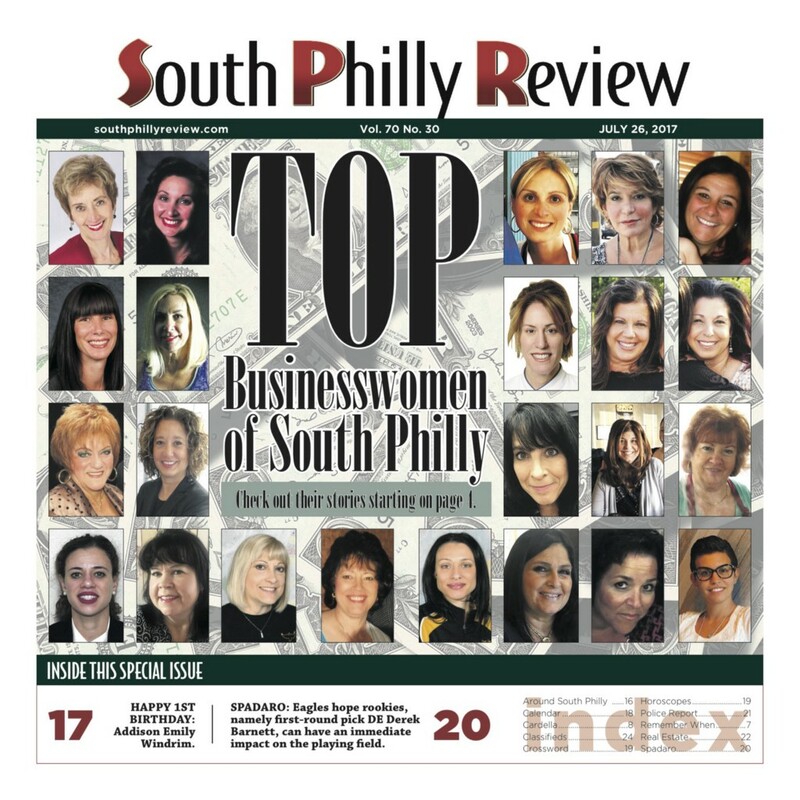 Add the Top Businesswomen of South Philly to the annual rotation with the likes of the Readers’ Choice Awards, Mummers Guide, Eagles Kickoff and others. Gentlemen, we are not ignoring you. The Top Businessmen of South Philly issue will be hitting your doorsteps in September. If you have someone you feel deserving of making the first cut, don’t keep it under wraps. Now, we step aside so these deserving women of South Philly can have their well-deserved moments in the print spotlight! Email news@southphillyreview.com or call 215–336–2500 ext. 121.